Few occurrences are as devastating to a business as a fire. Flames, heat, smoke and water cause tremendous damage. Ensuring that emergency responders are notified as quickly as possible can mean the difference between minor damage and a major catastrophe. Autech provides intelligent fire alarm solutions that provide the protection and safety you need and the peace of mind you deserve. At Autech, the process of providing a superior fire protection system for your business began before you ever called us. 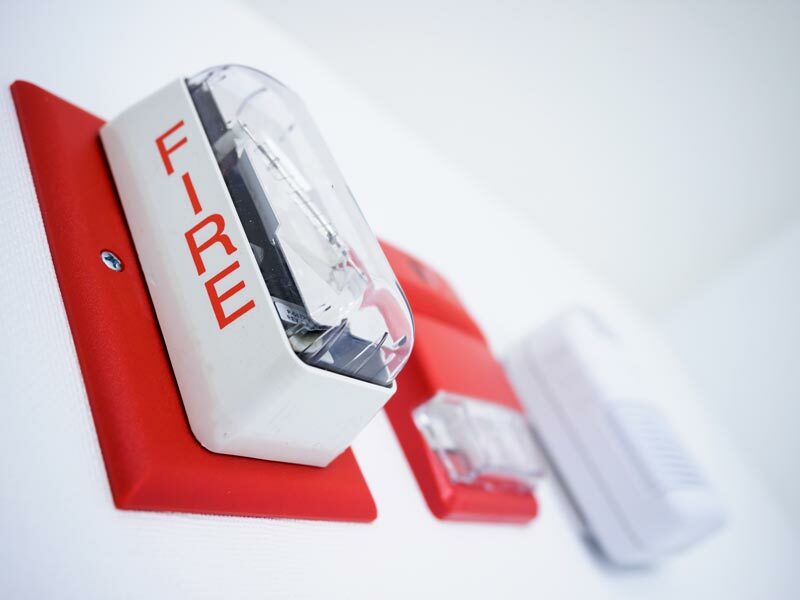 We’ve spent years researching different technology providers, equipment manufacturers and central monitoring stations in order to provide the best available fire alarm solutions. We’ve developed relationships with industry leaders like Honeywell, spent countless hours learning about their systems, earning certifications as qualified installers to ensure every service we provide is completed with meticulous precision. When new technology is introduced, our technicians and engineers learn and test these new innovations, embracing those that can positively impact the service, security and protection we provide. Before an installation takes place, our highly trained and certified technicians assess and analyze your location to identify any high-risk areas, as well as possible challenges that unusual construction or architectural design might present. We then meet with you to determine your expectations and specific requirements. Once we’re familiar with your facility and have a comprehensive understanding or your requirements, we develop a project plan configured specifically for your location. Aspirating Smoke Detectors that use a pipe network to provide detection to hard-to-reach and difficult-to-access areas. These detectors can also be remotely configured and monitored, as well as programmed to send email notifications to up to 6 recipients. Graphic Workstations that use graphic images to display information. Employed as a decision support tool, personnel can quickly evaluate emergencies and make prompt, informed decisions. Contact one of our specialists for your free fire & security system consultation today! © 2018. Autech LLC. | SC Fire Alarm License #13341 | SC Burglar Alarm License #13332. Website By American Creative.